“Customer relationship management” (or CRM) can sound intimidating to small and midsize businesses. While most marketers and C-level professionals have heard of CRM, many struggle with defining what exactly it means and how it relates to their business. CRM refers to software that helps companies store data for all of its customers, track interactions with their future and current customers and from a sales side, helps companies manage follow-up with prospects. Does this sound like you? You’re not alone. There are many things a CRM can do that should get people across all aspects of a business excited, from marketers and salespeople to business owners and C-level executives. At its core, a CRM system is not just useful to large enterprise companies—it is essential for businesses of all sizes. Do you have a need to maintain a list of information on your leads and customers? Does this information currently live in many different places? A CRM system can help you combine this information in one centralized location. The benefit? Everyone has access to the same information, allowing you to get a 360-degree view of all of your company’s key customers and prospects. Plus, when the information is stored in one location, you will be able to access the specific data you need, when you need it. Are your customers regularly interfacing with multiple people on your team? How does everyone keep track of where conversation with any one customer left off? Have you had an introductory conversation with a prospect just to learn that they’ve already spoken with someone else on the team? 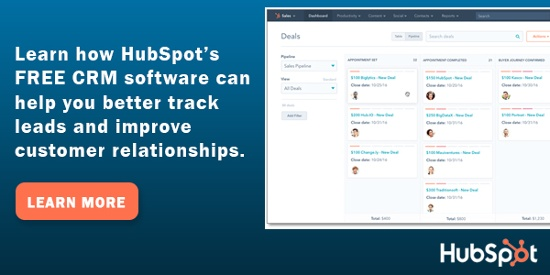 A CRM can help you keep track of multiple relationships a customer or prospect has within your company. This allows for smoother conversations and an overall appearance that everyone on your team is on the same page and in unison with one another. Do you struggle to understand the productivity of your sales team? Does the team follow a structured process? Utilizing a CRM system that combines marketing and sales functions can help structure and prioritize follow-up efforts. CRM systems that include sales pipelines can also help companies set and keep track of revenue goals. These are just some of the challenges that CRM systems can help solve. If your business is struggling with any of these issues, a CRM system can unequivocally improve the way you manage relationships and can ultimately drive your business forward. For more information on how a CRM system can help your company more effectively manage customer data and improve customer relationships, contact Sarah Chula at 440-449-6800 or email Sarah. This entry was posted in Mailchimp RSS, Strategic Marketing and tagged businesses, crm, CRM System, customer relationship management, marketing, relationships, sales team, software, strategic marketing. Bookmark the permalink. Follow any comments here with the RSS feed for this post. Comments are closed, but you can leave a trackback: Trackback URL.